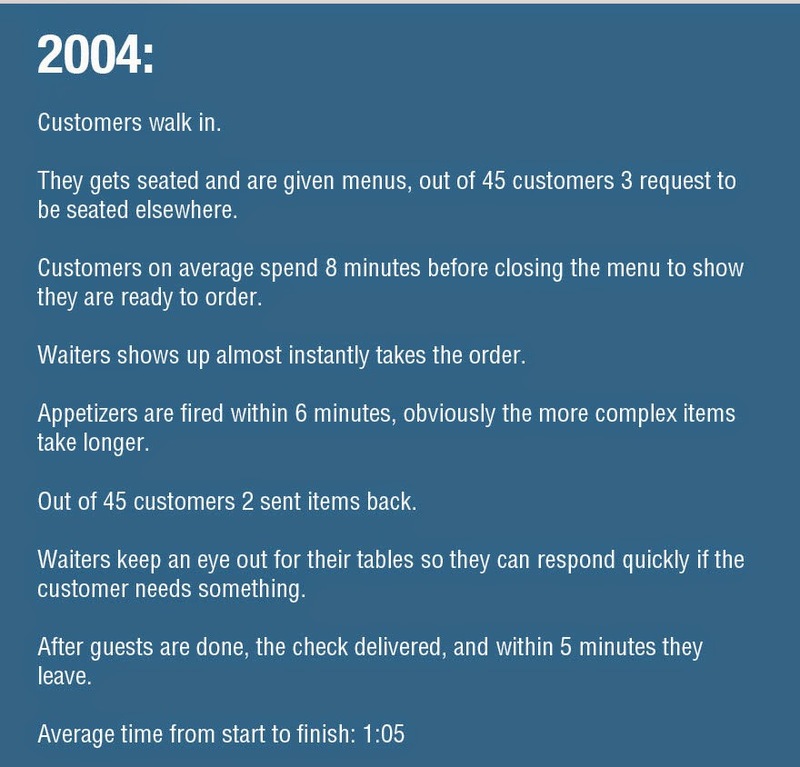 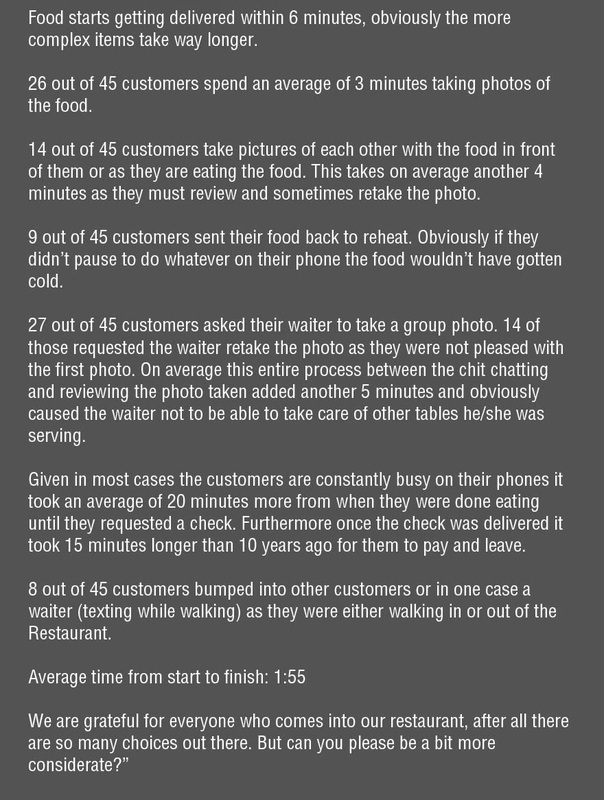 A famous restaurant in NYC decided to hire a firm to figure out why they kept getting bad reviews. 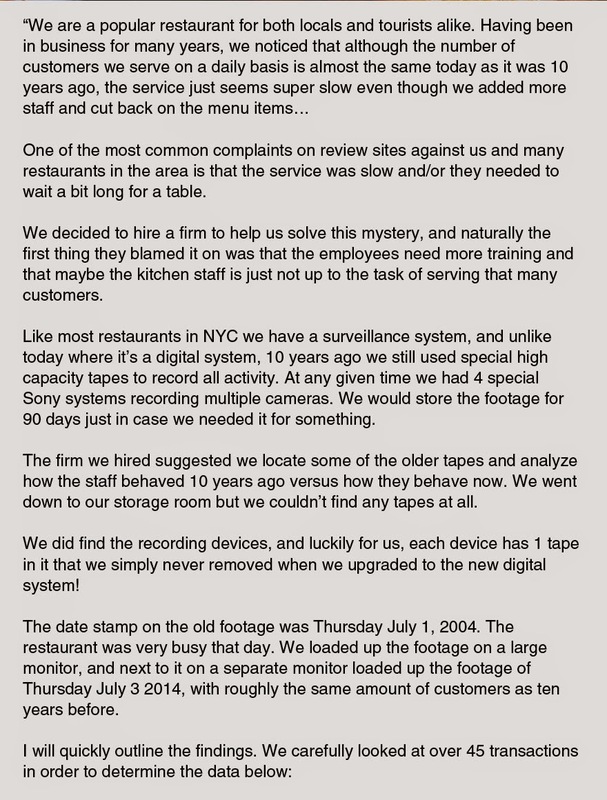 What this firm discovered is quite interesting. 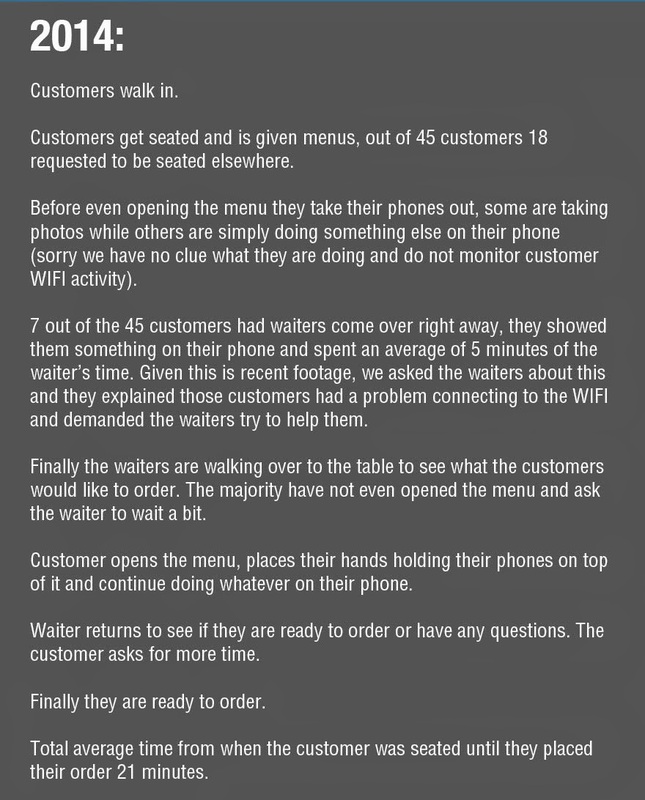 Read below the transcript posted by the restaurant on Craiglist, after they found out what it was.